Mirin is a sweet sake (rice wine) that is essential to Japanese Cooking. It not only gives flavor and a glaze to the meat or fish you are cooking, but also makes it more tender. You can also use it to take the smell out of fishes to by marinating it. Nowadays it is used in desserts as well. Hon-Mirin (本みりん）- Authentic Mirin with alcohol made from glutinous rice and rice malt. Mirin-Like Seasoning (みりん風調味料） - Seasoning that is made mainly by mixing glucose sugar and amino acids to make a similar taste. It does not contain alcohol so it can be sold in stores without a liquor license. Salt Mirin - This is a mirin with added salt to avoid the tax imposed on liquors for drinking. Contains 5 -14% alcohol. 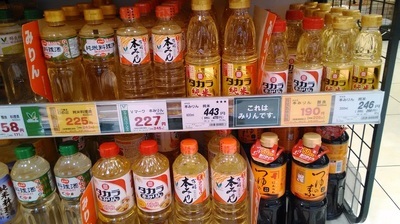 If you look for Mirin in a supermarket you may not find it near the cooking ingredients at some stores. As it has about 14% alcohol content, so it may be sold in the liquor section. 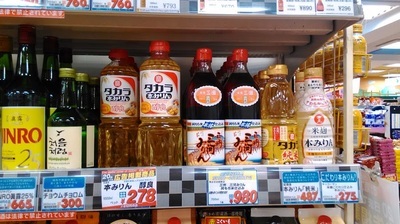 Since Mirin contains alcohol, if you want to use it as a salad dressings, you need to boil it to burn off the alcohol, otherwise you can use Mirin-Like Seasoning which contains no alcohol. 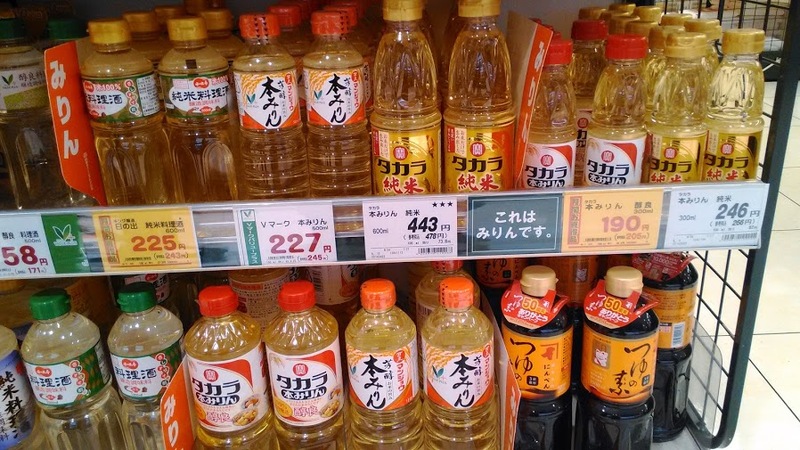 If you would like to learn more about Mirin, this website by Mikawa Mirin is very useful with some recipies (in English). Recipie using Mirin : Grilled Fish marinated in Mirin. Take the fish from the marinade and wipe off excess water with a paper towel. Evenly coat it with potato starch. Heat vegetable oil in a pan and grill both sides until almost done. Pour the sauce in the pan and coat the fish. Serve on a plate and garnish with a grated yuzu or lemon rind.